It’s a wonder why I’ve never posted on this before. This place is a treasure to south Louisiana and one of the best ideas for keeping “at-risk” kids from getting into trouble. I always encourage free outdoor activity for kids(especially when they have an opportunity to make and accomplish goals). 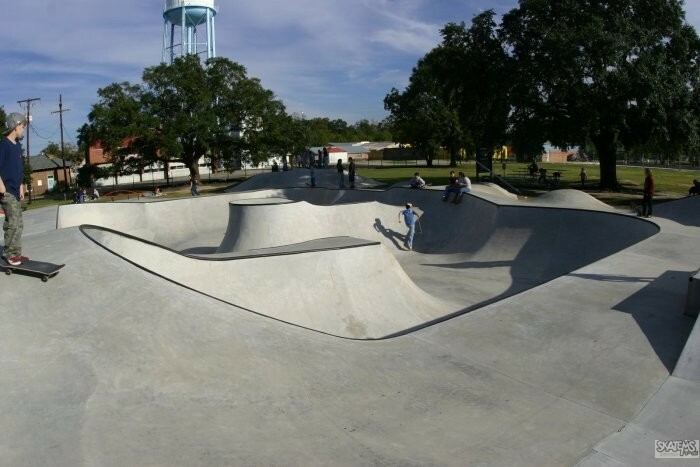 It’s the only concrete skate park(that I know of) in south Louisiana(until Baton Rouge’s Velo Park opens). Not bad for an hour’s drive from the Big Easy.